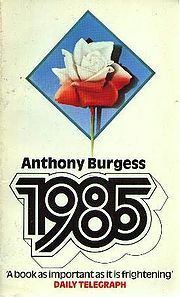 Anthony Burgess’ 1985 was intended as a tribute to George Orwell’s 1985. The two major themes of the novel are the rise of trade unions and the influence of Islam and Muslims as a sinister force in Britain mainly because of a large scale immigration of Muslims from the Middle East. There is a conspiracy afloat for the Muslim takeover of Britain.